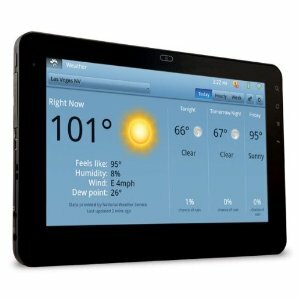 According to Viewsonic, there's nothing wrong with its G Tablet; you're just having a "user experience issue." People have been wary of the Viewsonic G Tablet ever since this weekend, when Staples announced that it wasn't selling the device any longer because of a manufacturing defect. Viewsonic, naturally, isn't happy about this, so the company has announced that there is no defect with the G Tablet; instead, people are unhappy with it because of a "user experience issue." Viewsonic has issued an official response to G Tablet's poor reception (an alarming number of customers have been returning it), and it sounds like the company is trying to just spin a bad situation. Adam Hanin, Viewsonic's VP of Marketing, told Engadget that "We believe it is the user experience that caused all the returns, and we are taking important steps forward with the G Tablet." The device, which is preloaded with Tap Android, is apparently pretty sluggish and is experiencing even more problems thanks to a buggy and slow Flash player. While a "manufacturing defect" makes it sound like the Tablet is irreparably inoperable due to hardware problems, this "user experience" label makes it sound like the problem is on the users' end. While spin is a normal part of the marketing process, this seems pretty ridiculous. This is, honestly, a problem on the manufacturers' end. If the product was bug-ridden enough to prompt all of these returns and lackluster reviews, then Viewsonic has no right to lay the blame at anyone else's feet.